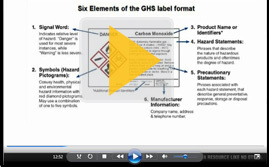 adoption of the Globally Harmonized System (GHS). and industry best practices for meeting current requirements. order to be compliant by the 2016 OSHA deadline.